Maldivian is a descendent of Maharashtri Prakrit and is closely related to the Marathi, Konkani and Sinhalese languages, but not mutually intelligible with them. Many languages have influenced the development of the Maldivian language through the ages, most importantly Arabic. Others include French, Persian, Portuguese, Hindustani, and English. 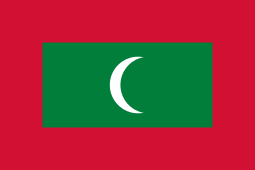 The English words atoll (a ring of coral islands or reefs) and dhoni (a vessel for inter-atoll navigation) are anglicised forms of the Maldivian words atoḷu and dōni. The most divergent dialects of the language are to be found in the southern atolls, namely Huvadhu, Fuvahmulah and Addu. Slighter variants are spoken in Haddhunmathi and in Minicoy (Maliku) where Haddhunmathee Bas and Maliku Bas (Mahl) are spoken respectively. The dialect spoken in Minicoy has fewer differences from the standard Maldivian than other dialects. Among the dialects, Malé Bas and Maliku Bas are most identical. The other variants show much difference including the dialects spoken in a few islands in Kolhumadulu, which are hardly recognised and known. Mulaku Bas is a dialect of Maldivian spoken by the people of Fuvahmulah. Mulaku Bas has final 'l'— i.e., at the end of words, not followed by a vowel sound— (laamu sukun ލް), which is absent from the other dialects of Maldivian. Another characteristic is the 'o' sound at the end of words, instead of the final 'u' common in all other forms of Maldivian; e.g. 'fanno' instead of 'fannu'. Regarding pronunciation, the retroflex 'ṣ' (IPA [ʂ]), which has almost a slight 'r' sound in mainstream Maldivian, becomes 'š' (IPA [ʃ]) in Mulaku Bas, sounding like Arabic: ش‎‎ shīn. One of the most unusual features of Mulaku bas is that, unlike other dialects, it distinguishes gender. Also, there are many remarkable differences in the dialect in place of the Sukun system as well as the vowel or diacritical system following a distinctive set of rules. Huvadhu Bas, spoken by the inhabitants of the large atoll of Huvadhu, is another distinctive form of Maldivian. Because of the isolation from the Northern Atolls, and the capital of Malé, Huvadhu Bas compared to other variants makes more use of the retroflex 'Ţ' (IPA [ʈ]). Huvadhu Bas also retains old Sinhala words and is sometimes considered to be linguistically closer to Sinhala than the other dialects of Maldivian. The lesser known dialect in the Madifushi island of Kolhumadulu locally known as "Madifushi Bas" has some similarities with "Huvadhu Bas". Whilst the 'a' vowel at the end of words are often replaced with 'e' and 'o', some consonants at the end differs as well. 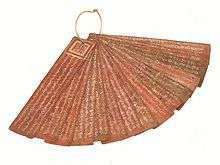 The letter Ṇaviyani ޱ (different from the letter Ñaviyani), which represented the retroflex n sound common to many Indic languages (Gujarati, Hindi, etc. 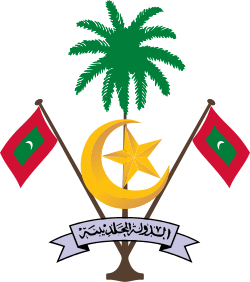 ), was abolished from official documents in 1950 by Muhammad Amin, the ruler of Maldives. It is not known why this particular letter representing a retroflex sound was abolished while others, like Ḷaviyani, Ḍaviyani, and Ṭaviyani, were not. Ṇaviyani's former position in the Thaana alphabet, between the letters Gaafu and Seenu, is today occupied by Palatal Nasal Ñ or Ñyaviyani ޏ. It is still seen in reprints of traditional old books like the Bodu Tarutheebu and official documents like Rādavaḷi. It is also used by people of southern atolls when writing songs or poetry in their language variant. Fritz puts forward this theory based on research into the dialects of Addu and Fuvahmulah. She is yet to do research on the dialect of Huvadhu Atoll, and has to do more research on both Addu and Fuvahmulah dialect. Only then can she determine whether the dialects Fuvahmulah and Huvadhu or that of Addu is more archaic. However, from Male' (Maldives) to the south up to Huvadhu Atoll (Maldives) the amount of archaic features increase but from Huvadhu Atoll the amount of archaic features decrease towards south. And the dialect of Huvadhu is characterized by the highest degree of archaicity. Maldivian uses mainly the Thaana script for writing. It is an abjad, with vowels derived from the vowel diacritics of the Arabic abjad. It is a largely phonemic script: With a few minor exceptions, spelling can be predicted from pronunciation, and pronunciation from spelling. The origins of Thaana are unique among the world's alphabets: The first nine letters (h–v) are derived from the Arabic numerals, whereas the next nine (m–d) were the local Indic numerals. (See Hindu-Arabic numerals.) The remaining letters for loanwords (t–z) and Arabic transliteration are derived from phonetically similar native consonants by means of diacritics, with the exception of y, which is of unknown origin. This means that Thaana is one of the few alphabets not derived graphically from the original Semitic alphabet – unless the Indic numerals were (see Brahmi numerals). The Thaana alphabet (hā, shaviyani, nūnu, rā, bā, ...) does not follow the ancient order of the other Indic scripts (like Sinhala or Tamil) or the order of the Arabic alphabet. The 412-page hard-back English-Maldivian dictionary, A Maldivian Dictionary, written by Christopher Hanby Baillie Reynolds, was published on 22 July 2003 by Routledge and contains some 5000 individual entries. Maldivian uses two numeral systems. Both of them are identical up to 30. After 30, however, one system places the unit numeral stem before the decade, for example, eh-thirees '31' (lit. "one and thirty") while the other combines the stem of the decade with the unit numeral, for example, thirees-ekeh '31' ("thirty + one"). The latter system also has numerals multiplied by ten for decades 70, 80 and 90. Speakers of Maldivian use a great many loan words in their everyday conversation (see § Vocabulary). The extent to which loan words and host of words from many other languages are used varies from speakers to speaker, depending on his contacts with that language. Thus, those who have had an English education will tend to use a larger number of English words while an average speaker with little or no contact with English will tend to use just a few. Some of these adapted words have now become so much part of the Maldivian language that there seem to be no other words that could replace them. ↑ Hammarström, Harald; Forkel, Robert; Haspelmath, Martin; Bank, Sebastian, eds. (2016). "Dhivehi". Glottolog 2.7. Jena: Max Planck Institute for the Science of Human History. ↑ Frommer's India – Google Books. Books.google.mv. 2010-02-18. Retrieved 2013-08-21. ↑ Journal of the Bombay Natural ... – Google Books. Books.google.mv. Retrieved 2013-08-21. ↑ Concise encyclopedia of languages of ... – Google Books. Books.google.mv. Retrieved 2013-08-21. ↑ "Marathi language, alphabet and pronunciation". Retrieved 12 June 2016. ↑ "FindArticles.com - CBSi". Retrieved 12 June 2016. ↑ Gair, James W. (2007). "The Dhivehi Language: A Descriptive and Historical Grammar of Dhivehi and Its Dialects. 2 vols". The Journal of the American Oriental Society. ↑ "Minicoy Language Primer (Maliku Taana - Devana Foiy)". Retrieved 12 June 2016. ↑ "The Maldivian Script. Volume One. (Divehi Akuru - 1)". Retrieved 12 June 2016.